David Broughton Artist: BIG JIMPING. 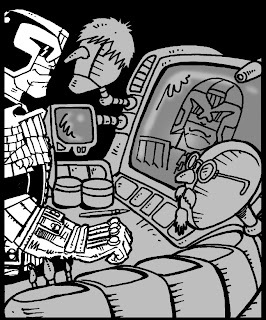 ‘Big Jimping’ was my second story for ‘Zarjaz’ and my first comic script from a writer other than myself for a long time. 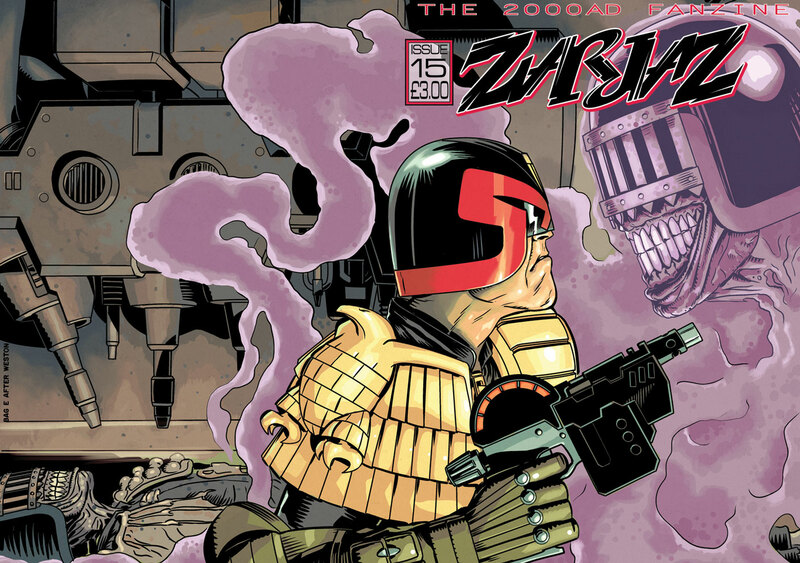 Zarjaz editor Dave Evans emailed me with the script on 4th February 2011. 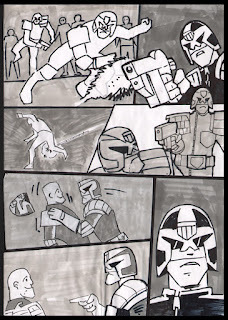 After reading the script by Lee Robson which had some great 'Dredd' one liners. I roughed out the pages. These can be seen below. More information regarding the evolution of the story can be found on Lee’s blog via this link. 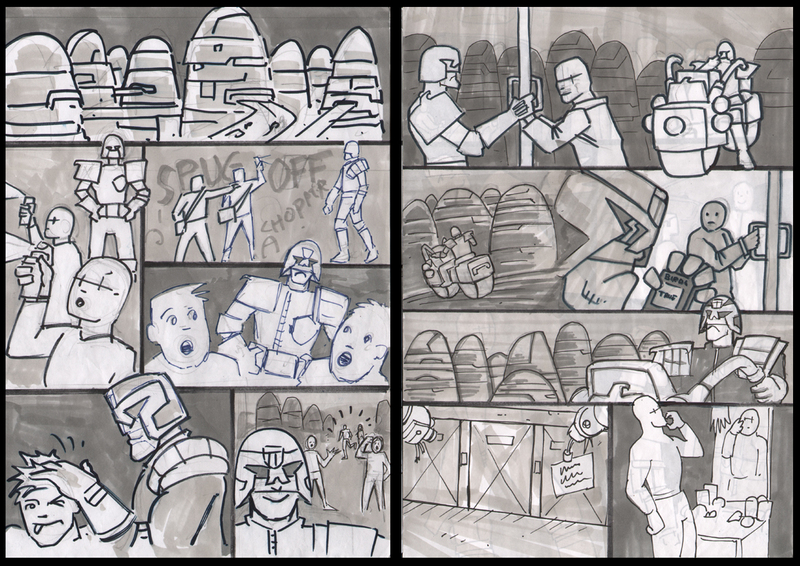 Above: Rough page layouts for pages 1 and 2. 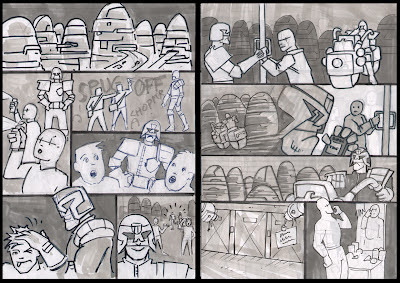 Above: Rough page layouts for pages 3 and 4. 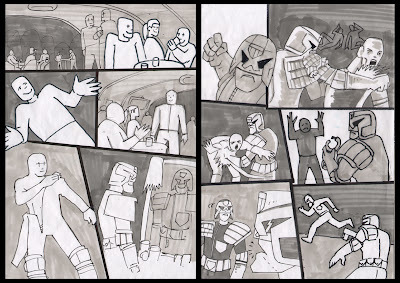 Above: Layout for page 5. My characterization of Dredd is constantly evolving so I decided to tweak my art style to account for the humorous nature of the story. I wanted to include characters from different ethnicities into my art (after all Mega-city is home to 400 million people) so this seemed to make sense. I decided to give the make-up table seen in the story a futuristic make-over. Therefore I replaced the square table seen on layout page 3, panel 5 for some thing more visually appealing. Above: Finished make-up table design. I then started work on the inked page art. At the time I was still drawing everything on seperate bits of paper, scanning and laying up the pages on computer. 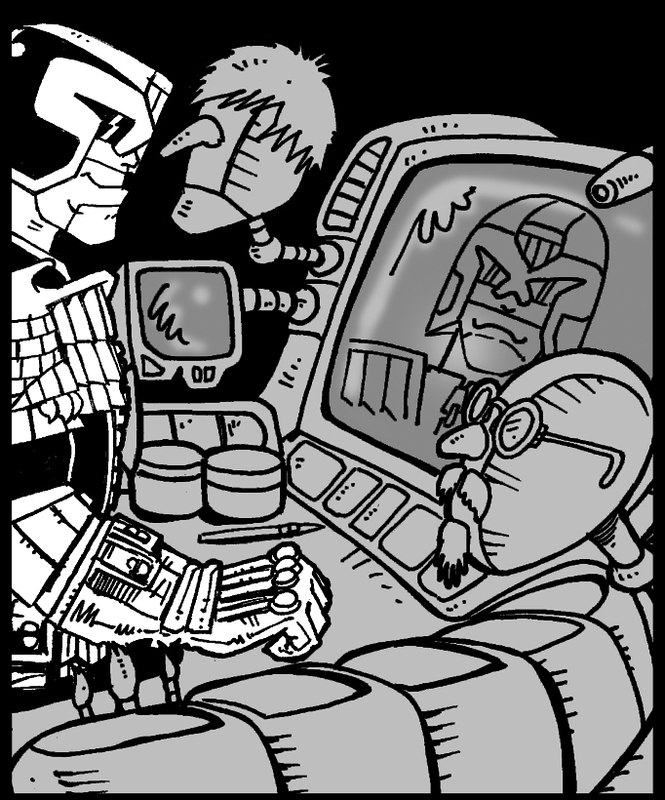 Artists adding extra visual jokes to their page panels is a long established 2000ad tradition and one that I like to uphold with my artwork. 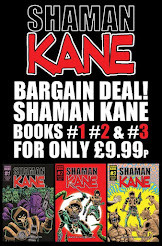 Sometimes these ‘extra jokes’ get covered up by text bubbles. 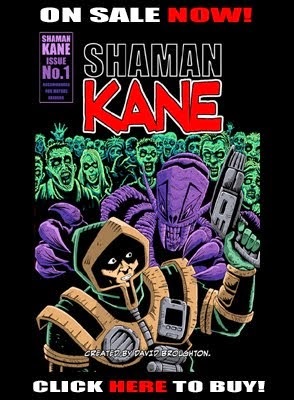 This was the case with panel 3, page 1, which you can see now below without the lettering. 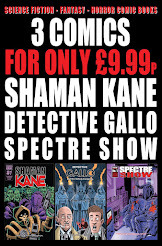 3 COMICS FOR ONLY £9.99P!